Chasing The Cyclone has been hailed as a call-to-arms against child abduction. The I CARE Foundation's Travel Child Consent Form Was Created To Help Stop These Types Of Abductions. EVERY PARENT ALLOWING A CHILD TO TRAVELING ABROAD SHOULD HAVE THE OTHER PARENT SIGN THIS FORM! Since the I CARE Foundation commenced operations, reported cases of outbound international parental child abduction statistics demonstrate that there has been a miraculous 15% drop in international kidnappings for two consecutive years (fiscal year ending 2011 and 2012). The outreach of advocacy groups such as the I CARE Foundation along with increased efforts by the U.S. government's Office of Childrens Issues has led the charge to combat abduction that may be best described as a run-away train illuminated by 30 previous years of skyrocketing abduction rate. Outreach about the warning signs and risk factors of abduction combined with a strong effort to educate the courts on the complex legal dynamics of parental abduction, and, new laws and policies geared to protect children are making a difference. Despite great strides being made, a somber mood still exists due to the poor rate of children being returned home, which is anticipated to be around 10% when considering reported cases of abduction and expected unreported cases of abduction. Peter Thomas Senese has helped reunite many children who were previously internationally kidnapped. 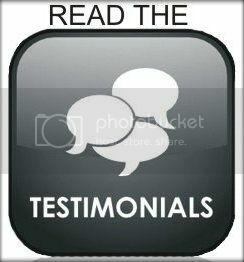 Read the sworn testimonials! Best-selling author Peter Thomas Senese has written a series of critically acclaimed historical fiction novels relevant to society today. 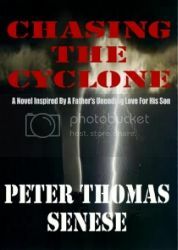 Click on the image of Peter Thomas Senese's critically acclaimed novel 'Chasing The Cyclone' to be taken to Amazon. International Travel For Children: Which Travel Consent Form Should You Use? For those parents that are divorced, separated or happen to be in a relationship dealing with high-conflict issues such as child custody disputes, when it comes to your child traveling internationally using the right travel child consent form is one of the most critical decisions that can be made. The child may be traveling due to the requirements of a court-order or simply by mutual consent. But the cruel reality is, when we talk about international parental child abduction, the majority of these cases occur when one parent wrongfully detains a child in a foreign country outside of a court order or the consent of the other parent. In these situations only a small minority of children that have been abducted abroad are returned to their country of habitual residency by court-order. The sad reality is that the vast majority of these innocent children do not ever come home. The I CARE Foundation’s international travel child consent form is the only global travel child consent form that was created in order to protect against international child abduction. The document has been called an exceptional child abduction prevention tool by the Secretary General of the Hague Conference, as well as a wide global range of leaders around the world familiar with child abduction. Here is the truth of what you need to know in order to protect your child from abduction related to the child not being returned to their home when they travel abroad. All parents, regardless of where you and your child live, should ONLY use the I CARE Foundation’s model, Hague-centric international travel child consent form. Despite international child abduction being a serious crime, it is seldom prosecuted. In addition, the vast majority of countries that a child may be wrongfully detained in will not uphold an extradition request based upon parental child abduction. The point being that you should not expect the criminal prosecution threat or component to prevent abduction. The 1980 Hague Child Abduction Convention was created to protect against abduction and in essence return children to their country of habitual residence. The problem is that there are sizable abduction defenses in the Hague Convention, making it extremely difficult for a child to be returned home. For example, less than 20% of American children abducted abroad to a country that is a member of the Hague Convention were court-ordered to be returned to their country of habitual residency. Additionally, only 11% of children abducted to non-Hague countries were court ordered returned. Making up for some of the returns are voluntary returns, but lets be very clear about this: at least 50% of children abducted abroad do not come home one way or another. In the meantime, if you are a parent that has a child abducted, you can expect to pay a fortune of money in order to bring your child home. And we’re not talking about a few thousand dollars. Reality is that many parents experience costs of hundreds of thousands of dollars, and even then, there is no guarantee they will get their child home. The majority of targeted parents of abduction do not see the act of kidnapping coming. And why would they? After all, the number one priority of an abductor is to make sure that their intent to abduct is not revealed. It is critical to know the warning signs of child abduction. The I CARE Foundation’s international travel child consent form is a Hague-centric form. This means it takes into consideration nearly every possibility that may occur when an abductor wrongfully detains a child abroad. Thus far, and to the best of our knowledge, every child using our form has in fact come home. 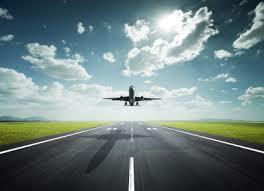 Numerous law journals and law publications have published material on the I CARE Foundation’s travel consent form. International child abduction is complex, as too are the defenses used by one parent against another when abduction occurs. When the I CARE Foundation created our travel consent form, we took into account the complexity of all these issues. Thus, our form is detailed and specific because we know the complexities of law surrounding abduction including the arguments an abducting parent may present in order to defend against their act. What we have done is essentially removed defenses often used in abduction cases by incorporating important language in our I CARE Foundation international travel child consent form. We invite you to review our legal analysis of the I CARE Foundation’s travel consent form as published by the Colorado Bar Association to understand the complexity of abduction when a child is wrongfully detained abroad. Here is the reality: the I CARE Foundation’s International Travel Child Consent Form is the best and only global international child abduction prevention tool. No matter what – any parent, but especially those who have children from a multi-national marriage, and those who have or may be experiencing divorce or separation – must use the I CARE Foundation’s travel form. Visit the I CARE Foundation website. Visit the I CARE Foundation’s blog. As I look back over the past four years of the I CARE Foundation‘s activity working to protect children from international child abduction, my eyes and my spirit reflect upon a sea of faces of children and parents we have helped. However, there are other faces – the faces of the dedicated I CARE Foundation staff who work day-in and day-out on behalf of at-risk children. And today, on America’s Independence Day, I applaud each member of the I CARE Foundation family around the world as each of your unselfish acts have, in reality, made a significant and immeasurable positive difference on the lives of so many others. Unquestionably, it is through each of your acts of dedication to fighting the fight against child abduction that we, as a private non-profit organization, have created a large, positive, and formidable footprint on behalf of children everywhere. The United States outbound international parental child abduction rate has dropped by 38.06% while in the rest of the world the outbound child abduction rate continues to rapidly grow. For example, in England the outbound child abduction rate has reportedly grown by nearly 100% over the past decade. God willing, the I CARE Foundation’s reach in England via our landmark and groundbreaking international travel child consent form will reduce the abduction rate in England and nearly every other country in the world, where, in reality, the abduction rate has grown to pandemic levels. The I CARE Foundation’s creation and global implementation of our international travel child consent form has been directly responsible for ensuring the safety of a large and growing number of children around the world. In fact, the scholarly and legally sound travel consent form has been called the first and only global child abduction prevention tool: one that in a year’s time has changed the landscape of child abduction prevention. We take great pride in knowing that not only has our travel consent form been called ‘Remarkable’ by the Hague Conference Secretary General, but due to its success, plans are underway within the Hague Permanent Bureau to create an official Hague International Travel Consent Form using the I CARE Foundation’s form as a model.When we consider that studies show that at least 70% of all international parental child abductions occur when a child is wrongfully detained abroad, and less than 20% of all children are court-ordered to be returned to their country of habitual residency, not only has our work protected the lives of many, but in a very real way, the I CARE Foundation’s travel consent form protects the integrity of the Hague Child Abduciton Convention. Our work implementing the Prevent Departure Program has prevented a large and growing number of abductions in the United States. Our work associated with preventing child abduction in connection with the Western Hemisphere Travel Initiative has made a meaningful and measurable impact protecting American children. We have helped pass numerous laws and altered existing government policies geared to protect children while also successfully altering proposed legislation that could have been catastrophic in the real fight to protect all children from abduction. We have become one of the leading organizations conducting research and publishing our findings on parental child abduction. In fact, our research has helped create new tools and policy that has had a giant impact on behalf of children. We have raised society’s awareness of international parental child abduction, including awareness amongst potentially targeted parents. Our social media outreach has had immeasurable results: the 38.06% U.S. abduction decline is directly related to our outreach campaigns. We have prevented the abduction of a large and growing number of children. We have successfully reunited a large and growing number of children with their families. Perhaps most of all, we have acted with our compassionate hearts. Today is Independence Day in America. Personally, it is a very important day for it celebrates liberty. On this special day, I am reminded that children around the world have a God-given right to live in freedom. Our work continues. To all my friends who I am proud to work side-by-side with, I wish to each of you a Happy Independence Day – wherever you are in the world. And America – Happy Birthday! When it comes to international parental child abduction, the I CARE Foundation believes in zero tolerance for individuals involved in such schemes. Under no circumstance should a parent feel they have the right to abduct a child. As well, a parent should never think that planning an abduction is in the best interest of the child. It is not! Short and long-term ramifications on the child are well-documented. The underlying reality is that once abduction occurs, regardless if the kidnapping is done by a known person or stranger, the child’s safety is placed in grave risk. When issues arise regarding mobilization (when a parent wants to relocate to another country with the child but without the child’s other parent), these issues should be rectified in accordance with the law. Not by creating an evil scheme filled with false innuendos and accusations against the other parent so to create a misleading impression that abduction is critical for the child’s safety and well-being. It is not. Seeking legal assistance via criminal and civil remedies if abusive conditions exist is the option that must be sought. A would-be abducting parent puts their child in harm’s way, and this is not acceptable! The I CARE Foundation takes the position that international parental child abduction is a severe form of child abuse with consequences that will be extreme and will impact all phases of the child’s life. With that being said, we also acknowledge the severe negative impact that abduction has on the victimized targeted parents. Both parties, the child and the targeted parent, are victims when we are dealing with parental child abduction. In nearly all cases of parental abduction, children are used as pawns by the abducting parent in order to carry out their extensive premeditated plan which includes, but is not limited to causing severe suffering to the child’s other parent. One of the greatest challenges that children and their targeted parent face is the lack of accountability through the courts. If a court neglects to hold abductors or would-be abductors accountable, this not only means that the targeted parents may remain at the mercy of a vengeance-seeking abducting parent that has already caused considerable harm, but it also sends a very dangerous global message that parental child abductors have limited risks when it comes to legal accountability, both in respect to the courts, but also law enforcement. This needs to change! The I CARE Foundation believes strongly that the Hague Child Abduction Convention is the right mechanism that all nations should participate in and adhere to. As we look forward and create changes to help protect the hundreds of thousands of children each year who are targeted for international abduction, we see the critical need to create an International Judiciary College. The fact is that the vast majority of judges who oversee international child abduction cases have not been trained in the very complex legal, psychological, political, financial and logistical matters that impact all cases of international abduction. We face a reality that has untrained judges and courts contributing to many failures, including properly and expeditiously overseeing legal proceedings that seek the return of abducted children to their country of habitual residency. An International Judiciary College, ideally under the guidance of the Permanent Bureau, would have a dramatic impact on reducing the global abduction rate, but also increasing diplomatic relationships among countries. As well, it is highly conceivable that the issues that exist today regarding the lack of judicial compliance would be greatly reduced as more judges become trained on Hague matters. The reality is that today many targeted parents who have experienced abduction and who have been abused by the abducting parent remain targets of their child’s kidnapper. Courts are hesitant to hold parental child abductors accountable for their act. Part of the problem lies heavily in an untrained judiciary – judges who are not trained in the deep understanding of parental abduction matters. Tragically, the result of untrained judiciary and actors involved in abduction matters is that the targeted parent will believe that the courts will not hold the abductor accountable and equally alarming – by failing to hold the abductor accountable – the courts in essence empower the abductor who has returned with the child after the kidnapping – to attempt to abduct again or to continue making allegations against the targeted parent. Tragically, when a targeted parent of abduction receives little or no support or protection from the court while they are working to protect their child from abuse (including but not limited to abduction), then that parent can become disenchanted with the legal system they once believed would protect them and their child. They lose hope. Sometimes claims of abuse are real, and we acknowledge this reality. In such cases we urge all parents to seek all intervention and assistance available to them under the rules of law. Conversely, we have also seen in a great number of international child abduction cases when both men and women make false claims against one another. This is a reality. As always we encourage all parents to be familiar with the RISKS AND WARNING SIGNS of international parental child abduction. Being aware of these warning signs is critical in preventing an international abduction from occurring. Never think that you or your child(ren) could not become a victim of this inhumane crime. Be proactive and protect yourself… and your child(ren). If you happen to be a parent that has a child that is traveling abroad, either by choice or by court order, please consider using the I CARE Foundation’s International Travel Child Consent Form. For more information on international parental child abduction, please visit the I CARE Foundation’s official website. International parental child abduction is a crime in most countries, including the United States and Canada, as it is a highly abusive act toward a child, often at the hands of a narcissistic parent that displays sociopathic behavior to cause suffering and injury to the other parent. Generally, concern and care for the child’s well-being are not the relevant issue or concern among abducting parents. In the majority of abduction cases there are warning signs, and parents need to be aware of these. Tragically recent reports by the United States government stated that children who are crime-victims of parental abduction often face a high degree of severe violence and even murder at the hands of their parental child abductor. In fact, filicide – the act of – is a large and highly disturbing issue that takes place in every country. Anyone who ever thinks that when one parent illegally removes or wrongfully retains a child in a foreign country without a court order or permission of the other parent is not a dangerous and severe act against the taken child, and instead views this as a ‘child custody issue’ is not aware of the severe emotional, spiritual, and possible physical abuse directed at the child by the abducting parent. It has accurately been said by a large number of leading child health experts that an abducted child becomes a prisoner of their parent-warden. Forced to obey their emotional jailer who happens to also control their every move and be their care-provider, these parentally abducted children are often brainwashed and taught to know and embrace hatred. Along the way, not only do they lose their identity, but they often lose sight of the true meaning and magic that exists in life. The key to stopping international child abduction is to know and not dismiss these warning signs and clues that the child’s other parent may be planning abduction while also knowing exactly how to act in order to prevent the criminal act of parental child kidnapping once abduction becomes evident. It is critically important for all parents who suspect their child’s other parent may be conspiring to abduct to realize abduction schemes are created and executed in secrecy. The parent planning abduction does not desire for their targeted parent to know they are planning a child kidnapping. In fact, concern amongst would-be parental child kidnappers that their abduction scheme may be exposed prior to being put into motion has increased ever since society has become more aware of the abusive and dangerous gravity and wide-spread infestation of child abduction around the world. Organizations such as the I CARE Foundation, who are major combatants committed to fight against child kidnappers and act to defuse an abductor’s evil schemes by continued efforts to raise social awareness of the warning signs of parental child kidnapping while also advocating for new prevention laws, creating unique abduction prevention tools and resources, and successfully litigating child abduction prevention cases appear to be keenly aware of by those who abduct. These efforts are measurable. For example, after nearly 30 years of increased reported cases of outbound international parental child abduction originating from the United States, including skyrocketing average growth of over 20% per year, the United States international parental child abduction rate declined by over 15% during fiscal year 2011 and then by 16% during fiscal year 2012. These declines, though not inclusive to the formal period when the I CARE Foundation commenced its worldwide stewardship of raising awareness of international parental child abduction, are not coincidental, especially when considering the large number of abduction prevention cases the foundation has been involved with. And no comments made regarding the decline of abduction of U.S. citizens should be made without acknowledging the incredible and heroic work of the United States Department of State’s Office of Children’s Issues and their Abduction Prevention Unit’s efforts to stop kidnapping: while the world’s child abduction rate continues to surge, reported cases of parental child abduction in America are on the decline. Before I go any further, I want to point out that international parental child abduction connected to a child possessing a right ofdual citizenship and dual passports remains an extraordinary concern. Additionally, removal of a child from any of the countries that are signatories to the Western Hemisphere Travel Initiative Policy (The United States, Canada, Mexico, and many Caribbean island-nations) remains a serious concern. It is important to note two paradigms are occurring in the international parental child abduction world at the same time. The first is it appears more international parental child abductions are occurring between couples who are still married and who have not separated from their primary household as opposed to abduction post-separation or divorce. Apparently, one of the primary reasons why this is occurring is the increased an increased awareness amongst abductors of the heightened degree of difficulty to execute their kidnapping plans if the targeted parent is aware of their intent. Thus, living in a hostile environment with a targeted parent does not create an ideal environment for an abductor to have their target let their guard down. As you may suspect, many individuals planning abduction remain in the relationship because they do not want the other parent to have any reason for concern. In fact, it is common for a scheming parent to mislead their target by falsely displaying a deep commitment toward their relationship: increased acts of false affection and sincerity are commonplace in many of today’s pre-abduction cases. Which makes it more difficulty to detect an abduction scheme is being planned or well under way. After all, many parents in a relationship may have a vested interest to be open to any new rekindling of the relationship by their child’s other parent. The sad reality, exemplified in many of the hundreds of child abduction cases I have been involved with, is the parent planning abduction often successfully misleads the other parent into thinking that they were in committed to the relationship until it is too late. Alarmingly, parents planning abduction are successful in having their targeted parent dismiss the risks of child kidnapping because few targeted parents are willing to grasp that their child’s other parent could act so cleverly, shrewdly, and fraudulently. Perhaps the biggest mistake targeted parents make is that in nearly every international parental child abduction case, the targeted parent underestimated the intelligence, cunningness, and capability of the predator parent to execute their abduction plan. The second paradigm that appears to be taking place is that we are seeing more international parental child abductions as defined by the Hague Convention on the Civil Aspects of International Child Abduction taking place when a child is wrongfully detained in a foreign country and not returned home. This path to abduction often occurs when either a court orders or a parent consents to allow the child’s other parent to travel with the child to a foreign country – which is often the country of origin for the would-be abductor. In cases when an unsuspecting parent consents to allowing their child to travel abroad with the other parent, departure often occurs under the false guise of a vacation to see family members living in another country (often the scheming parent’s country of origin) or travel consent may be induced due to a false claim of a medical emergency. Summer school vacation represents the time of year when the majority of children targeted for international parental child abduction are kidnapped. The majority of these children initially travel to another country with one or both parents under consent. Often, the scheming parent actually invites the targeted parent to travel with them under the idea of a family trip in order to be able to get the child out of their home country of origin without raising a red flag to the other parent. Once a child is on foreign soil, the scheming abducting parent often unleashes an evil and cruel scheme against the targeted parent that often included intent to have their target arrested and removed from their and the child’s life by making false claims of abuse and violence directed at them, the child, or both. Often local law enforcement in the abductor’s country of origin will arrest the targeted parent. This will be followed by a restraining order against both child and the parent who made the complaint. And as the once unsuspecting targeted parent is sitting in a jail cell waiting for bail or a court hearing, the scheming abductor is meeting with and making additional false claims to child protective services in the country they have abducted to. Often these claims are fraudulently affirmed by family members and friends of the abductor. Once the false claims of abuse are filed, the abducting parent – now wrongfully claiming they are liberating parents freeing themselves from abuse – will file for no contact and divorce against the child’s other parent. And since there are pending charges for various forms of abuse, at least temporarily, the targeted parent will have no access to their child pending court proceedings (civil proceedings related to access to their child, and, possibly criminal proceedings connected to the false claims of abuse). Wrongful retention of a child is a serious issue. In order to combat this cruel form of abduction, I CARE Foundation has created the Hague Convention-oriented International Travel Child Consent Form. So much for a family holiday. There are no fool-proof warning signs that your spouse or ex-spouse is thinking of taking your child across international borders, with or without your permission and knowledge. However, there are in fact many signs and signals that can provide you with insight that your spouse or former spouse is intending to abduct with your child. Trust your instincts and do not bury your head in the ground and think abduction will not happen to you. It is a mistake tens of thousands of parents once made. If you believe international parental child abduction is in process, immediately contact local and national law enforcement, and, immediately contact the United States Department of State’s Office of Children’s Issues Abduction Prevention Unit. If you have reason to believe that your spouse is contemplating the abduction of your child, you should immediately contact a qualified lawyer familiar with international parental child abduction to immediately discuss legal options available to you and your child. You should also immediately contact the United States Department of State’s Office of Children’s Issues Abduction Prevention Unit. In addition, you should contact the National Center for Missing and Exploited Children and open an abduction prevention case. You may also contact the I CARE Foundation to obtain additional information on abduction prevention and to receive an attorney referral of a qualified lawyer familiar with abduction prevention litigation. You may need to file an ex parte (an Emergency without notice filing) motion to the court of jurisdiction where the child lives, seeking court intervention prior to when the abduction or wrongful retention occurs. Under most laws, the judge will have to hear your application so long as you present enough strong and credible evidence that your spouse or ex-spouse is planning to illegally take your child across state or international borders or intending to travel abroad with consent but may have no intent of returning the child to their country of habitual residency. The following are a list of international parental child abduction warning signs. Each abduction case is unique so please consult with a qualified attorney to understand risk factors specific to your circumstances. The majority of international parental child abductions originate when a marriage or partnership created between two individuals from two different countries occurs. The reality is that failure amongst multinational partnerships is high. Often, when one of these relationships fails and there is a child involved, the parent living in a foreign country may want to return to their country of origin, and when they do, they nearly always want to bring the child of the failed relationship with them. It should be exceptionally noted, as stated earlier, that often parents planning abduction will act with trickery in order to have the targeted parent not have concern over abduction. The vast majority of international child abductions occur by a parent who is determined to cause hardship and harm to the other parent. The instrument that they use in order to cause this harm is the child or children of the marriage. A significant number of leading therapist from around the world have stated in numerous reports that revenge is the primary and leading reason why one parent will try to end the other parent’s relationship with their own child. Therefore, if you are involved with a person who has jealous or revengeful tendencies, you must be aware that these characteristics are common in the vast majority of would-be parental child abductors. If your spouse or former spouse has in the past used the child of your marriage or relationship to cause you harm, pain, and suffering, or, has tried to control and manipulate your actions, then your concern should be magnified ten-fold. If the same individual has family members in another country or has lived in another country and has expressed a desire or threat to move there with your child, your concern should be magnified one-hundred fold. If there is evidence of previous abductions, disappearances, or threats to abduct the child by your spouse or ex-spouse, these indicators demonstrate that any new abduction threat is real and in more likelihood already planned. If your spouse or ex-spouse has citizenship in another country and/or has strong emotional or cultural ties to their country of origin. A desire or intent by your spouse or ex-spouse to travel with the child to their own home country of origin with or without you. As stated earlier, it appears this is the most prevailing way a child is illegally abducted abroad. Often, the taking parent tricks their target into allowing travel, or is capable of fooling a court over their true intent. This is why the I CARE Foundation’s International Travel Child Consent Form must always be used during any type of international travel regarding a child. Unexplainable removal of cash deposits and diminished assets, or unexplainable increases in credit card or bank debt. Concealment of new credit cards or bank debt. Concealed, hidden, and abrupt communication with individuals or family members living in a foreign country. Concealed, hidden, and abrupt communication with a lawyer. Frequent previous trips with child to a foreign country without other parent. No strong ties to a child’s home state including having no or limited assets, having no or limited job prospects, having no or few friends or family members, and having strong cultural difficulties with the child’s home country. No financial reason to stay. Possible use of the child as a pawn in order to gain access to non-joint assets. Engaged in planning activities such as quitting job; selling home; terminating lease; closing bank accounts or liquidating assets; hiding or destroying documents; or securing a passport, a birth certificate, or school medical records. A history of marital instability, lack of cooperation with the other parent, domestic violence, or child abuse. An announcement of an unexpected trip to another country with the child. The taking of easily transportable high-valued items such as jewelry upon departing to another country. Adamant unwillingness to leave the child behind with you while spouse travels to a foreign country. Shipping of personal items to a foreign country, including those ordered from a vendor that are directly shipped abroad. A past tendency of your spouse or ex-spouse to relocate and live abroad. If your spouse or ex-spouse has ties to another country and makes a false police complaint against you concerning conduct against them or the child, you should be aware this may be the beginning steps of an Article 13 Defense under the Hague Convention. In essence by creating a history of complaints of abuse, the parent intending to abduct lays track to have a court in a foreign country remain abroad and sanction the act of international kidnapping – except it will be viewed as an act of liberation from abuse. Tragically, claims of abuse are commonplace. After all, a parental child kidnapper has defend against the act of child kidnapping, and citing abuse is a common tactic equally used by men and women abductors. If a parent living as an alien citizen of one country but has limited roots to that country and is intending to travel with the child abroad, the risks of an abduction are great. Additionally, if the parent who is planning to depart, say on a few week vacation, does not have the ability to purchase a return ticket back to the child’s country of origin and/or does not have employment and/or does not have housing, then you can bet that upon departure for the so-called ‘vacation’, that parent is not returning. Remember, Intent and Sustainability issues are critical. If a person can’t sustain themselves in the country that their child was born, and, they have no deep roots, why in the world would they want to stay? If an alien-parent has deep connections to another country, and has deep connections to that country’s senior government officials, there is a clear risk. Recently, I have been advising on a situation where the potential abductor has immediate family members in charge of overseeing a fleet of aircraft owned by a Middle East family (or you could say government). Obviously, access to aircraft and departing under immunity of a foreign government are very concerning. If you are planning to allow the child’s other parent consent to travel abroad with your child or if a court is willing to grant travel – and the other parent is not willing to sign the I CARE Foundation’s Travel Consent Form which was designed to uphold jurisdiction of the child’s country of habitual residency while also creating evidence that could moot an abductor’s legal defense strategies, then this too is a serious warning sign that abduction is planned. International parental child abduction is complex. There are many warning signs of abduction. 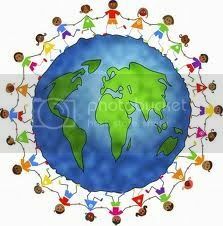 The most important being that parents need to be mindful that international parental child abduction is a real threat. On behalf of the I CARE Foundation, we hope this information may be helpful to you. Should you have any questions, please consult with a qualified attorney in the state of jurisdiction applicable to you and your child. Soon after the worldwide release of the I CARE Foundation’s groundbreaking International Travel Child Consent Form, it has now been made available in English, Spanish, French, and Korean. Highly respected international family lawyers are referring to this landmark abduction prevention tool as a pioneering, leading-edge resource that is expected to reduce the number of worldwide international parental child abductions. The International Travel Child Consent Form was conceptually created during an I CARE Foundation conference held at the United Nations on abduction. It was constructed to create a conclusive and categorically undeniable evidentiary agreement between two parents that affirms a child’s country of original jurisdiction prior to travel abroad is permitted while emphatically removing many common abduction defenses established under the Hague Convention child-kidnappers often use to mislead the courts during litigation. When parents are involved in high conflict child custody disputes, especially those of an international nature, where a child may be traveling abroad… parents need to think carefully and be very aware of the risks involved for their child in relation to international travel. International parental child abduction associated with child custody disputes and litigation related to travel permission granted by a court is commonplace. In reality, if a parent wants to abduct a child and not return them, they have a good chance of succeeding and not returning with the child. Often, parents involved in international child custody disputes and who may be targeted for abduction think that their child is best protected from abduction when there is a court agreement in place for the child to return if the other parent is granted travel. 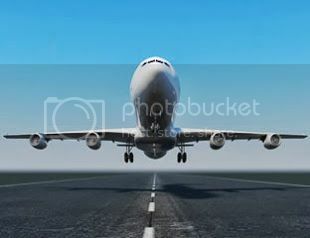 I speak from personal travel when I tell you that unless there is an international travel child consent form that has immediate ramifications attached to it, then a parent and child targeted for abduction are in serious risk. Abduction is not in the best interest of a child. Often the best agreements do not work because they do not take into consideration a wide range of abduction-related defenses a taking parent may use. This is true despite the best intent of lawyers and judges trying to come up with a smart solution during child custody litigation. Unfortunately, there are many times when a targeted parent consents to travel with their spouse or partner – not knowing that they are a target of abduction. Remember, fraud, schemes, and conspiracy to fraud and kidnap a child are commonplace in international parental child abduction. In essence, they travel with the child and other parent to another country. Once abroad, the other parent puts into action a plan to permanently remove the child from the other parents life. Often the best efforts of a targeted parent fail. International parental child abduction is complicated. The Hague Convention offers civil remedies for children and parents of abduction. However, the process can be difficult at times and often does not work due to the complexities of law and the limited support a targeted parent may receive litigating their case to reunite with their child. The best way to prevent abduction is to stop international parental child abduction. The I CARE Foundation has created a unique International Travel Child Consent Form intended to assist ensure the child’s return home should there be an abduction. With a significant number of international child abductions that will occur this summer based upon wrongful detention of a child abroad, the I CARE Foundation’s International Travel Child Consent Form may be one of the best tools available to assist parents and children at risk of abduction. The travel consent form for the child must be signed and notarized by both parents. Please visit the I CARE Foundation website to download a free copy of the International Travel Child Consent Form. Parents involved in child custody disputes, separation or divorce must be proactive in protecting their children. Being proactive is the best way to protect your child. Please visit The I CARE Foundation. To read more about my writing and novels, including ‘Chasing The Cyclone’ please visit my official website. THE ARTICLE 13 CONSENT OR ACQUIESCENCE DEFENSE: PETITIONERS CONSENTED TO OR ACQUIESCED IN THE REMOVAL OR RETENTION. I have previously written that during the summer school break children are at the highest risk of being a victim of international parental child abduction. Often, cases of international child abduction that occurs during this time of year is when a parent initially travels with their child abroad with consent from the child’s other parent. Often, the other parent (typically unsuspecting of any acts of abduction) will travel with scheming parent who is in reality, in the process of fraudulently planning an international child abduction. Once the scheming parent arrives in the country they are visiting, they unleash their abduction scheme, which can include legal petitions stating that the other parent had in fact consented to a relocation before they left the child’s country of original jurisdiction, or had subsequently agreed to relocate while in the new country. 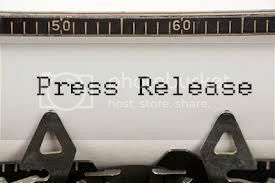 This is a very serious matter, and I know many parents who were victimized by abduction under The Hague Convention’s Article 13 – Consent or acquiescence Defense. During the coming summer … parents traveling abroad really need to understand some of the do’s and do not’s! Under Article 13(a) of the Hague Convention, the court is not bound to return a child if the respondent establishes that the petitioner consented to or subsequently acquiesced in the removal or retention. Both defenses turn on the petitioner’s subjective intent, but they are distinctly different. The defense of consent relates to the petitioner’s conduct before the child’ removal or retention, whereas the defense of acquiescence relates to “whether the petitioner subsequently agreed to or accepted the removal or retention.” The respondent must prove these defenses by a preponderance of the evidence; however, even if one of these defenses is proven successfully, the court nonetheless retains discretion to order the child’s return. Courts have expressed that such consent can be proved successfully with relatively informal statements or conduct. Because consent requires little formality, courts will look beyond the words of the consent to the nature and scope of the consent, keeping in mind any conditions or limitations imposed by the petitioner. Conversely, the Friedrich v. Friedrich (Friedrich II) court held that acquiescence requires “an act or statement with the requisite formality, such as testimony in a judicial proceeding; a convincing written renunciation of rights; or a consistent attitude of acquiescence over a significant period of time.” The following are some of the most common arguments and actions that parents use in their attempts to prove or disprove the defenses of consent and acquiescence. 2. Words And Actions Of Left-Behind Parents. 3. Nature Of Children’s Removal. When the abducting parent removes the child in a secretive fashion – for example, during the night, while the other parent is away, or without informing the other parent – a court is more likely to find that the other parent did not consent or acquiesce to the child’s removal. In Friedrich II, the Sixth Circuit stated that “[t]he deliberately secretive nature of [the mother’s] actions is extremely strong evidence that [the father] would not have consented to the removal of [the child].” One court referenced the abducting parent’s “deception,” which prevented any acquiescence by the left-behind parent. For more information on International Parental Child Abduction in the United States, please visit the Department of State’s Office of Children’s Issues website. In Canada, please visit the Ministry of Justice. You may also visit the I CARE Foundation or the official website of Peter Thomas Senese’s Chasing The Cyclone for extensive information on abduction. Remember, each of us can help protect children by raising awareness of IPCA. I invite you to read just how important it is to stop abduction by reading ‘Testimonial letters about Peter Thomas Senese and the I CARE Foundation’.